A few nice additions, probably of interest to most Amateurs is the Text to speech and the RSSI tweaks. The Text to speech will be a great leap forwards in accessibility for blind and partially sighted users. 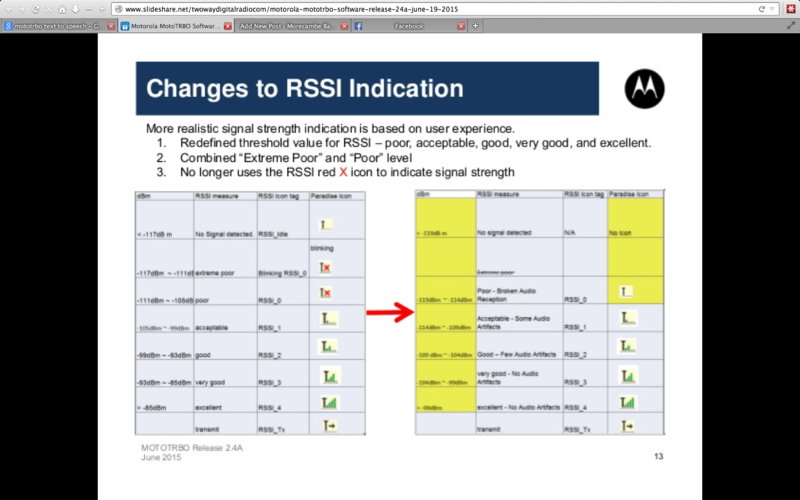 For more info, have a look at twowaydigitalradio.com’s very nice slideshare..
here below is the updated RSSI calibration slide.